The wonderful Peter Rabbit is one of the most enduring characters in children's literature, and now, thanks to the brilliant cartoon reboot, the most mischievous rabbit in the woods is more popular than ever. This stunning giant sized Peter is the sort of toy that's perfect for a really special gift - the sort of treasured toy that lasts for a lifetime. Beautifully soft and cuddly, he's made with real style and quality, and at ninety centimetres tall, this is a soft toy that's not only going to look remarkable in any bedroom or playroom, he's also going to be much loved by anyone that is lucky enough to receive him. This is a really superb toy, full of stature, quality and substance, that's going to delight any Peter Rabbit fan. This is a really faithful soft toy depiction of Peter - from the trademark blue jacket to the perfectly made bunny ears, the details are all perfectly executed. 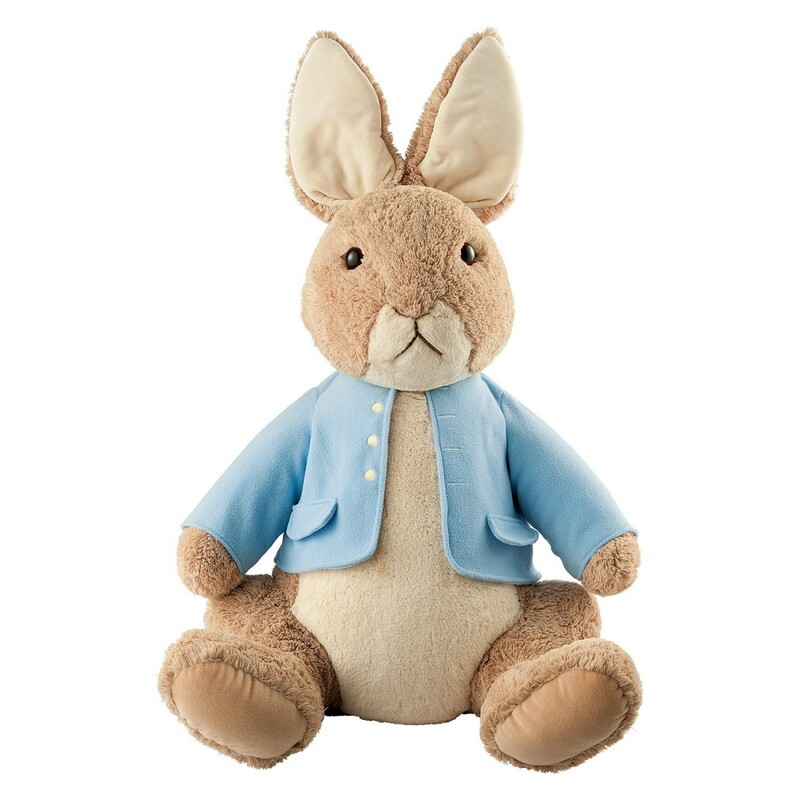 The Peter Rabbit soft toy makes a great gift when bought as an accompaniment to the Tale of Peter Rabbit book - you can have great fun using the soft toy to act out a life sized story while you're reading it! Suitable from age 1 year and over. Hand washable: cold water, air dry.